The risk with having excess weight is often not about the amount as much as it is about where the excess fat is located. As such, being overweight does not necessarily mean that you’re unhealthy. Often, normal weighted people often have the same problems associated with being overweight ot obese. Having excess fat around your belly can be problematic. If you have excess fat around your belly, here are some tips to help you lose it. Added sugar has several harmful on metabolic health. Fructose in sugar can only be peocessed and metabolized by your liver in small quantities. Eating excess sigar forces your body to turn all that excess fructose into fat. This can eventually lead to the accumulation of fat around the belly. This belly and liver fat can cause health problems like insulin resistance and other metabolic problems. To avoid this, limit your intake of sugar, especially sugar in sugar-sweetened beverages. Protein can help reduce cravings and cut down on your daily calorie intake. Eating more protein can also be effective against and help you lose belly fat. Eating more protein can help guarantee you less belly fat. An effective way to lose weight is to restrict carbs. Cutting carbs causes your appetite to go down resulting in weight loss. Low cab diets also help reduce your water weight. Mostly avoiding refined carbs should be effective. Dietary fibre binds with water and forms a thick gel which stays in your gut. This gel helps slow the movement of food through your stomach and small intestine. This causes you to feel fuller for longer. To get the necessary fibre, eat plant foods like fruits, vegetables, cereals etc. Exercise has several benefits including helping you live healthy and avoid disease. Aerobic exercises can help reduce belly fat significantly. 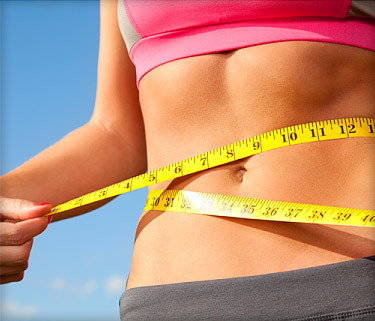 It can also help prevent regaining list abdominal fat after weight loss. It also helps reduce blood sugar, inflammation and other conditions linked with obesity.